After several weeks of preparation, eighth-grader Michael M. was ready to set up his basketball based game for the history fair that took place on Oct. 20. The seventh-grade fair was in the auditorium, while the eighth-graders were in the gym. Michael said the break from traditional schoolwork excited middle- schoolers. 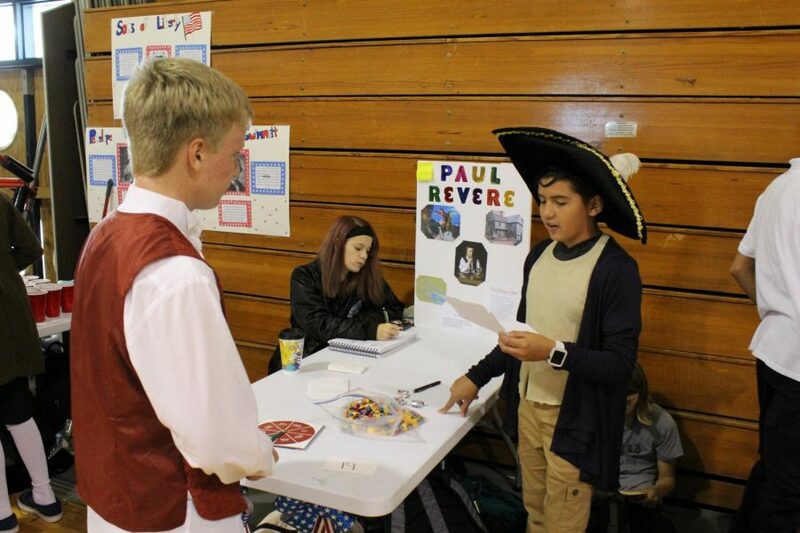 The middle-school history teachers got together and planned the fair, in which the seventh graders dressed up as historical figures from the Constitution, while eighth-graders channeled those from the American Revolution. As an attempt to get middle-schoolers more involved in activities around the school, the administration set out to look for ways and thought the middle-school history teachers could help. Eighth-grader Clifton Coyle said the experience as a whole was a good way to interact with the upperclassmen.